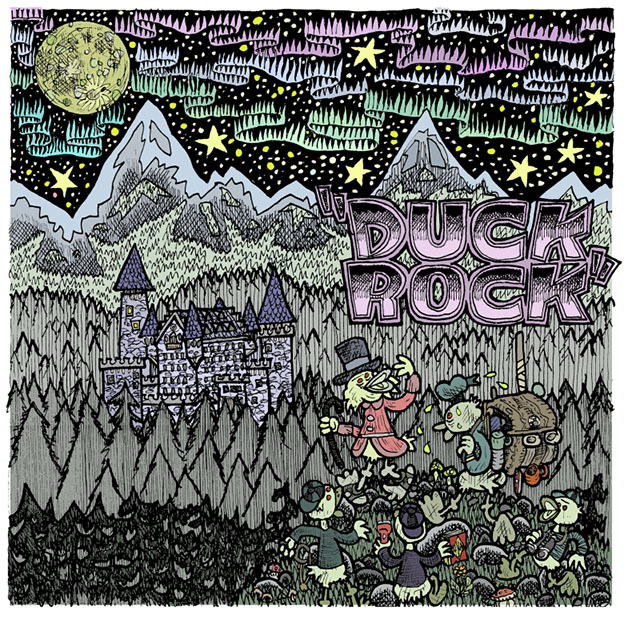 Next month a Norwegian rock group called StarratS of UfotofU will release the digital album "#DuckRock – a Tribute to Duck Artists anywhere…". 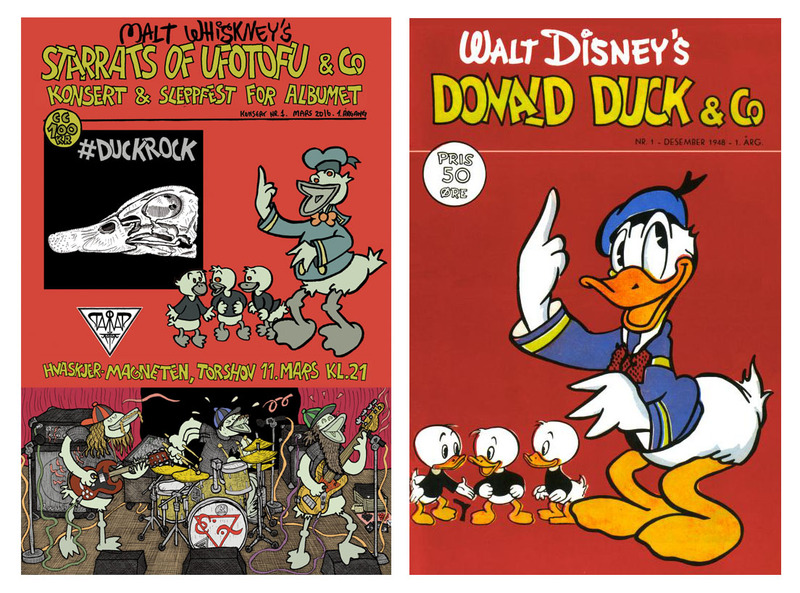 As the title suggest, the music is inspired by Disney comics, and several characters like Scrooge, Donald, Gyro and even Moby Duck get their own song! Some of the songs with lyrics can be checked out on their project webpage. For more information there’s also an interview on the Norwegian comic page Serienett. But it's written in New Norwegian, a variant of Norwegian so google translate have some trouble translating part of it. Looking at the first promo art, it’s clearly inspired by Don Rosa. We can see the same polar light and skyline used in several of Rosa’s covers and the opening panel of "Hearts of the Yukon". We can also see Castle McDuck, as we know from Barks' "The Old Castle's Secret" but also from Don Rosa stories like "A Letter from Home". 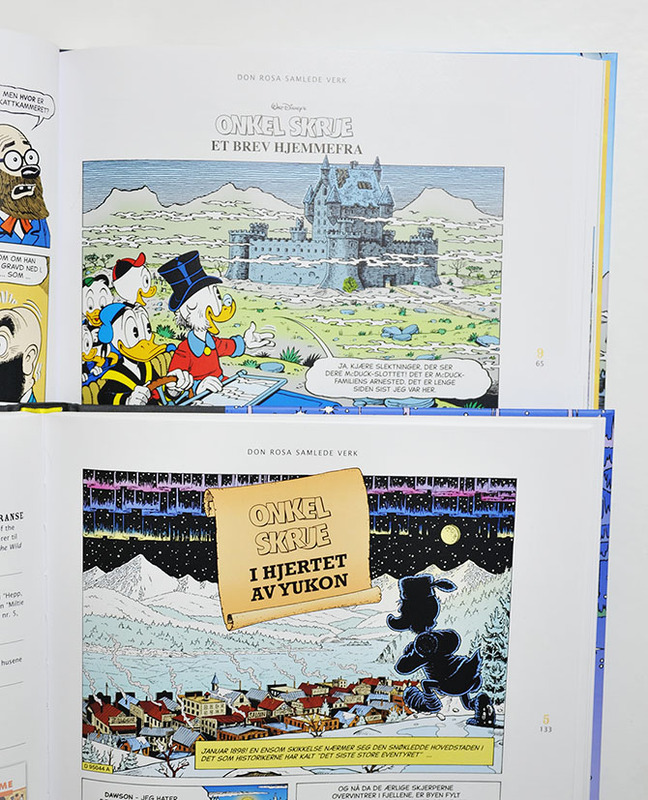 Opening panels for Don Rosa's "A Letter from Home" and "Hearts of the Yukon"
The same background scenery was also used on Tuomas Holopainen’s album "Music Inspired by the Life and Times of Scrooge". I’m not sure if that is just a coincident or if StarratS of UfotofU also is inspired by Holopainen’s album. 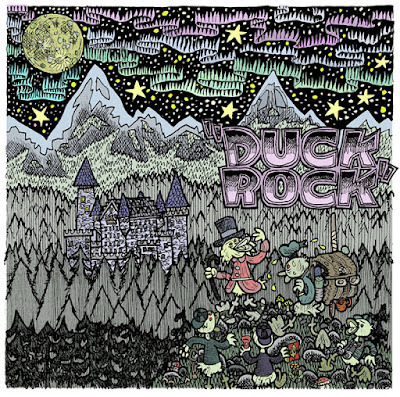 Cover for Tuomas Holopainen’s album "Music Inspired by the Life and Times of Scrooge"
Then we have the release party poster that is a reference to the first issue of the Norwegian weekly Donald Duck comic.